Today is Saturday’s Food For Thought!! Today’s food for thought is : ALMONDS! I love almonds and they are extremely healthy for you. Almonds are great in any recipes and they are even good by itself. Almonds are rich in nutrients, including magnesium, vitamin E, iron, calcium, fiber, and riboflavin. 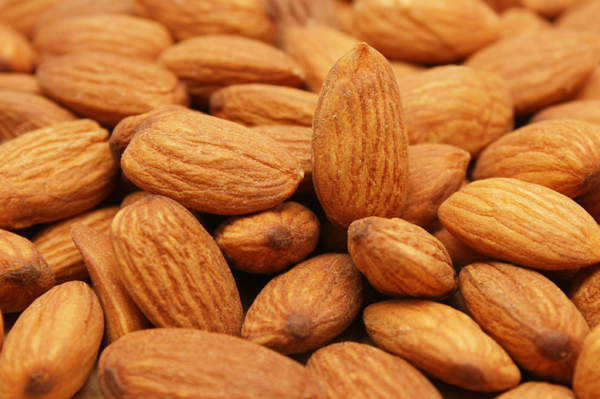 Scientists found that almonds as a food may help maintain healthy cholesterol levels. Did you know that almonds have more fiber then any other tree nut?! Almonds are so good for you, but naturally I like mine best with cinnamon and sugar on them.